Hide deals from seller "Zena European Beauty and Hair Salon"
Limit 1 per person. Valid on a 24K gold facial. Valid Wednesdays and Saturdays only. By appointment only. Promotional value expires 30 days after purchase. Shine like the summer sun with this Independence Day deal for 50% off a 24-karat gold facial from Zena European Beauty and Hair Salon in Buffalo Grove ($250 value). 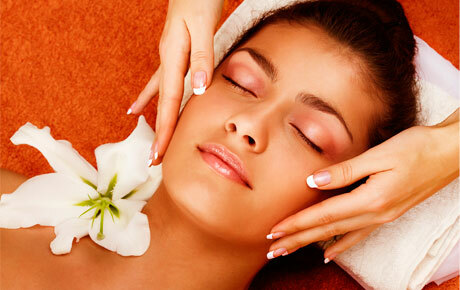 This luxurious treatment will unveil your glowing beauty. Your facial will begin with two rounds of cleansing tailored to your skin type and application of a fine mist, followed by the application of 24-karat gold leaves. While the gold leaves work their magic, one of the salon's experienced stylists will massage your arms and hands with a golden shimmer lotion. A serum is then massaged onto your face, complemented by a head and neck massage. In addition to this revitalizing treatment, Zena European Beauty and Hair Salon provides a variety of hair, nail, spa and waxing services. Brighten your glow with this golden offer. A salon in Buffalo Grove that offers haircare and spa services.